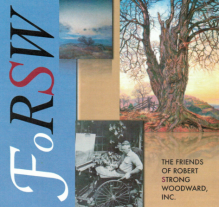 RSW- Artwork page, "The Three Barns"
The Keach Farm was a favorite subject of RSW, having created over 17 pieces of artwork. “Painted prior to 1929. A painting of the 3 barns at the Keach farm in Buckland (where I painted so much for so many years). Done from the driveway as one approached the house. 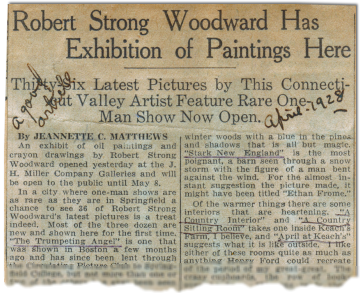 From one of my early Boston exhibitions bought by Mrs. W. Scott Fitz (daughter-in-law of Oliver Wendell Holmes) of 75 Beacon St., Boston (now deceased). A very decorative canvas. I don’t know where it is now (1947)." Boston Globe, May, 1929, by A. J. Philpott. 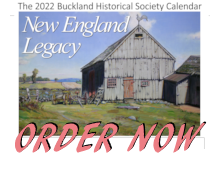 "....What a story of rural New England that picture The Three Barns tells. They are located beside a hill road, ramshackle but grayed and beautiful in color by time and nestling in the lush greens of mid-summer foliage. ...."